Pioneers in the industry, we offer hazaro plating machines from India. Our clients can avail from us ruffle sink machine that is widely used in textile industries. Hazaro Plating Machines are available with all the advanced technologies that help in increasing the efficiency. 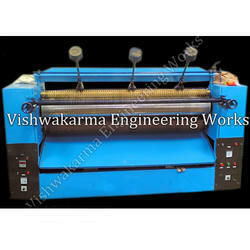 Manufactured using quality raw material, these machines are available with all the accessories & synthetic, cotton & finish fabric product. Looking for Hazaro Plating Machine ?